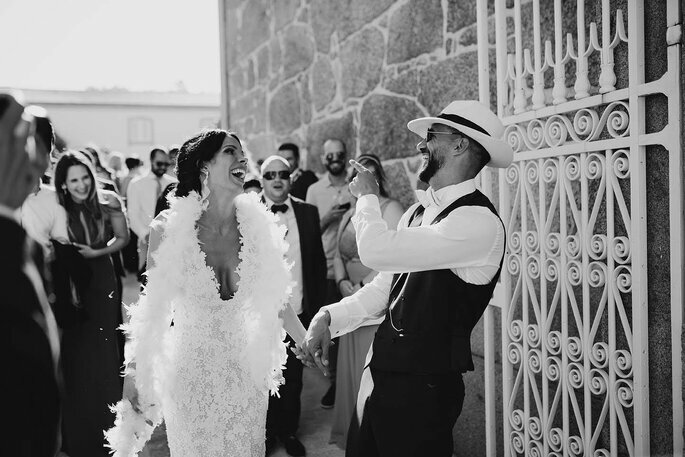 Portugal is quickly becoming one of the most famous countries to host a Destination Wedding. Therefore, many couples are being drawn to it as the location for their big day. 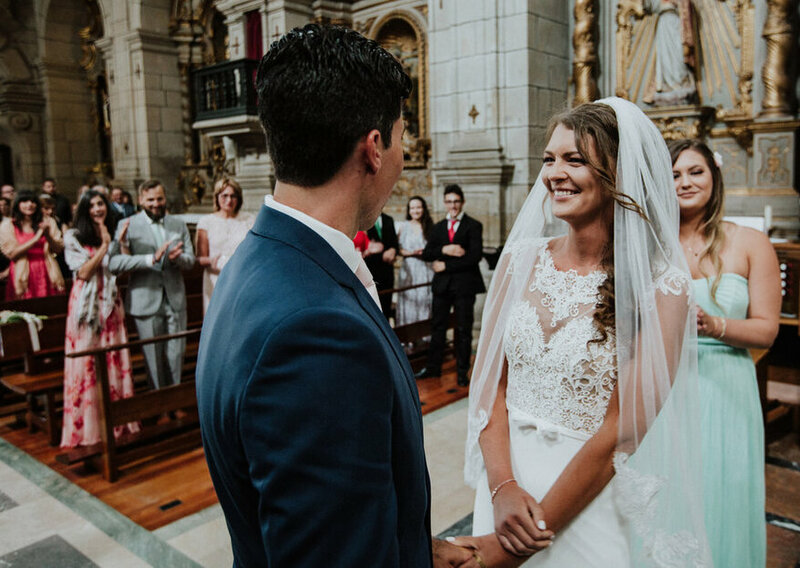 At Zankyou, we wanted to know the reasons behind Portugal’s journey into the “bridal spotlight”, so we are sharing with you some tips to make sure couples can live their very own fairytale. More than 77% of the couples we asked told us that the weather, the good price-quality, the gastronomy as well as the location itself are the main factors they bear in mind when they decide where to say the three special words. With that being said, there’s no doubt that more and more people are eager to marry in Portugal. 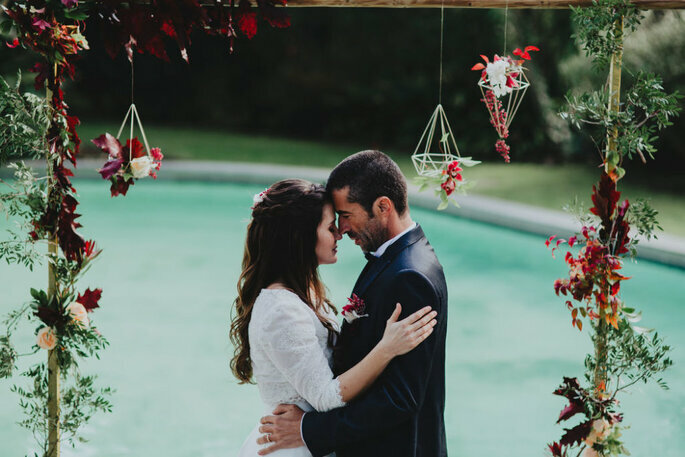 Located between the mountains and the sea, with a magnificent view, Quinta do Pé da Serra is the perfect place to hold your event. It has all the necessary infrastructure to make it a unique occasion, where everyone can enjoy the natural views, and an excellent gastronomy offered by the exclusive Quinta do Pé da Serra. Located in the Colares region of Sintra, the Quinta is easily accessible. It is only about 30 minutes from Lisbon! Having a wedding planner for your wedding day is a must-have, especially if you’re getting married abroad. 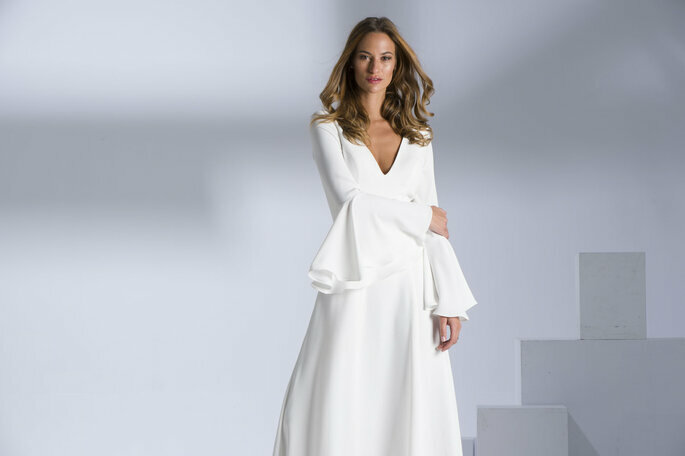 With the professionals at The Wedding Wonderland you can organise an unforgettable wedding in Portugal’s capital, Lisbon. 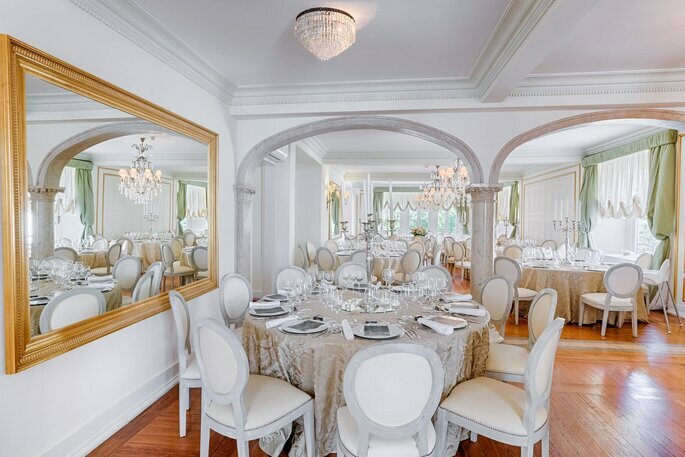 Whether you are wanting to plan a beach wedding, or a sophisticated wedding in the mountains, you can count on them to help you plan your event down to a T.
Located close to center of Lisbon, Quinta do Lumarinho offers easy access to its dreamy rooms that have been home to many loved-up couples. 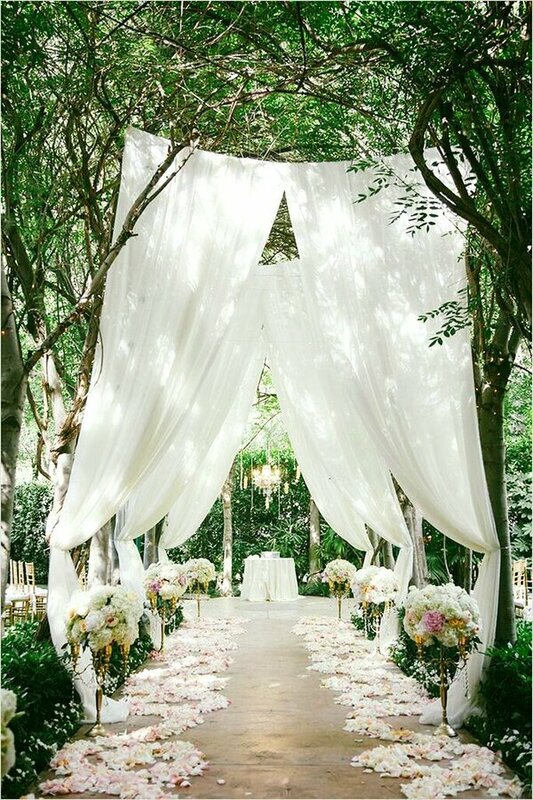 This venue is known for its magical and majestic gardens where the bride and groom can get lost in the beauty that surrounds every corner of the place. 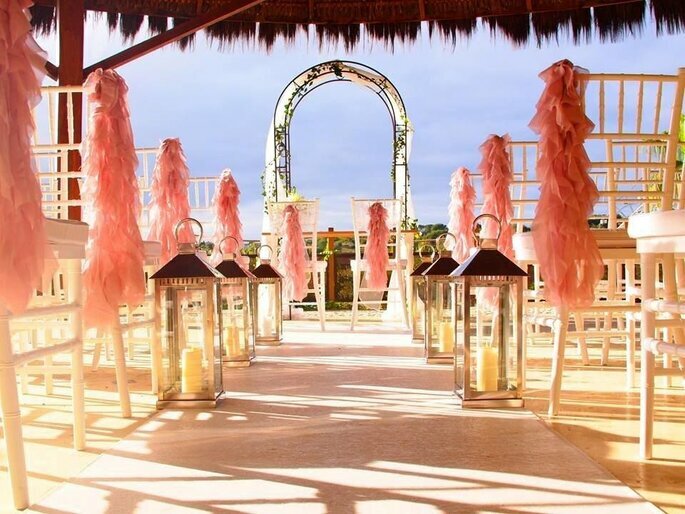 Amazing places serve as the idyllic stage for an inspirational photoshoot that will turn your wedding into a never-ending fairytale. This marvellous wedding location works exclusively with ‘Prenúncio de Festa’, an outstanding wedding planning agency. 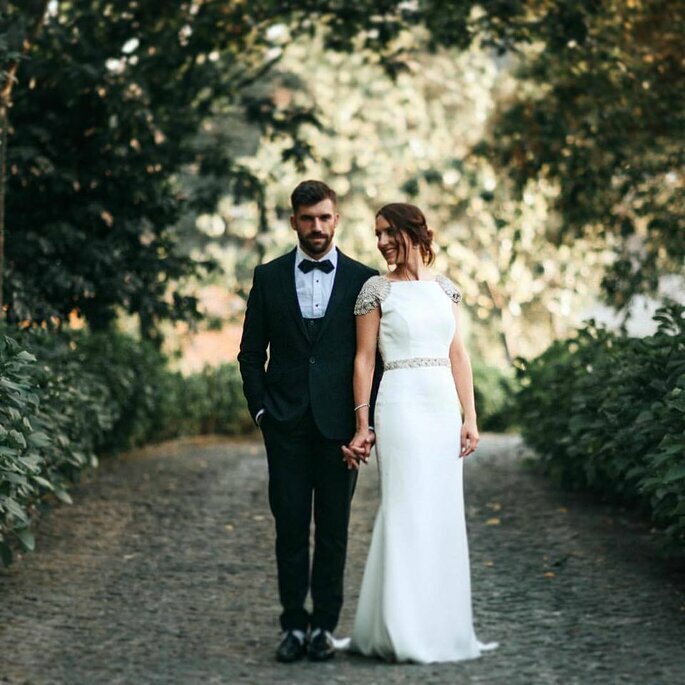 Quinta do Lumarinho will welcome up to 400 of your loved ones with open arms, who can enjoy the wedding until the early hours of the morning. 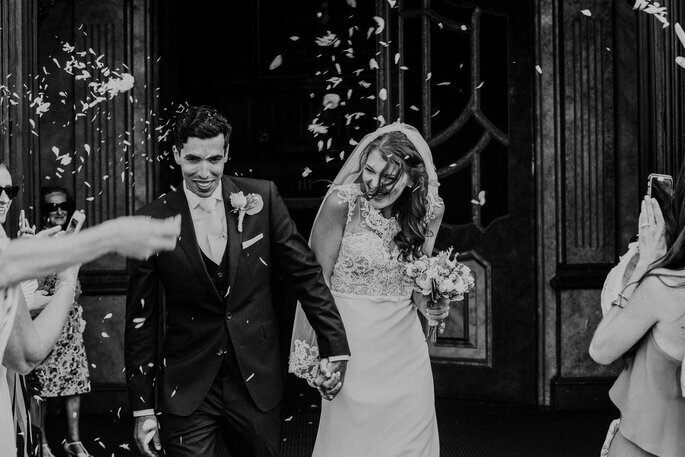 For amazing photography, José, Catarina and Rogério are the ones you’ll want to talk to. They see themselves as “hunters”, always searching for the most natural emotions and stories. Their passion is giving couples the chance to make and remember eternal moments, moments that’ll never be repeated, but always remembered in small frames. 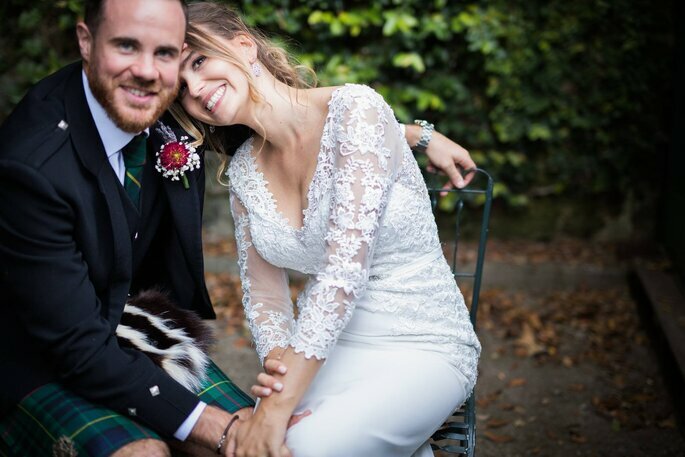 For these three photography and cinema are much more than a profession, it’s something that they are passionate about, and every wedding for them is something to be thankful for. With Rituais wedding couples get the chance to hire some experienced professional in all areas regarding sound, lighting and entertainment. In recent years, many more couples are adapting to 21st century trends and hiring professional to organise the technical side of their event. 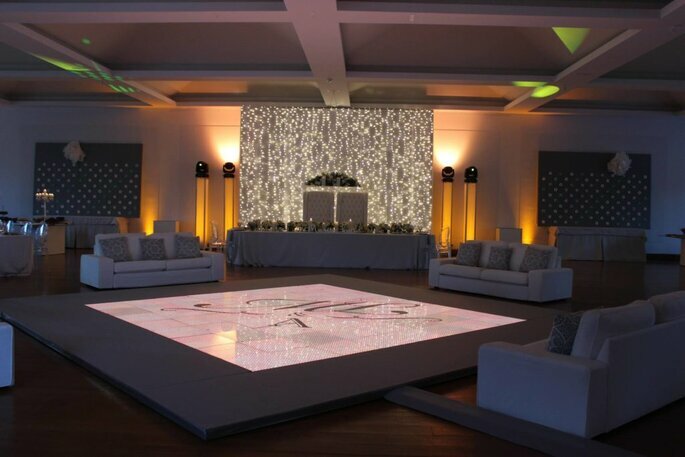 While a wedding planner is a great idea for the design, wedding invitations, etc…, we often need a little more professional help with lighting and sound. Fortunately, Rituais are a great company who are happy to cater to your wedding event needs! Built in 1154, Central Palace allow us to time-travel to the royal Portuguese times by opening up the doors of the rooms where kings and queens have lived in the past. Plus, this location used to be one of the most important hotels, where the Portuguese aristocracy spent their time. Central palace is situated in a little village, Sintra, so for couples who enjoy some romantic tranquility, they can stop right there. The best and most delicious menus are certainly a must-have and the team that works for Central Palace knows exactly how to tickle your guests’ tastebuds. Central Palace will offer you delicious dishes as well as the possibility of celebrating with an outdoor wedding on a splendid rooftop, where you and your guests can feast your eyes upon some incredible views and get lost in the blue horizon line. 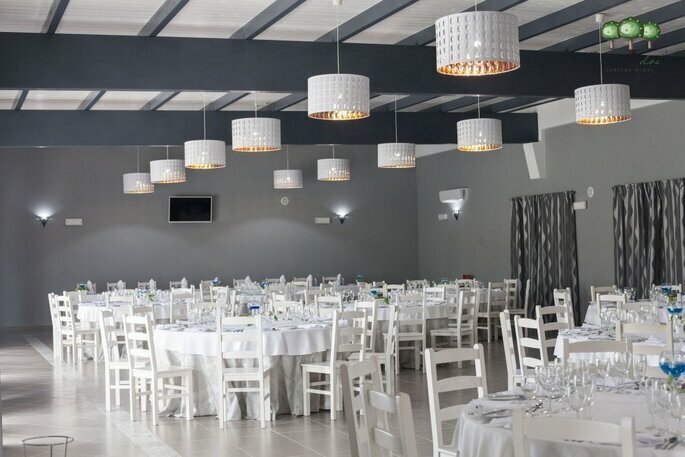 Within this impressive venue you will be offered the opportunity to welcome your very special ones, with a capacity ranging from 20 guests to 200. Memory sometimes runs away. 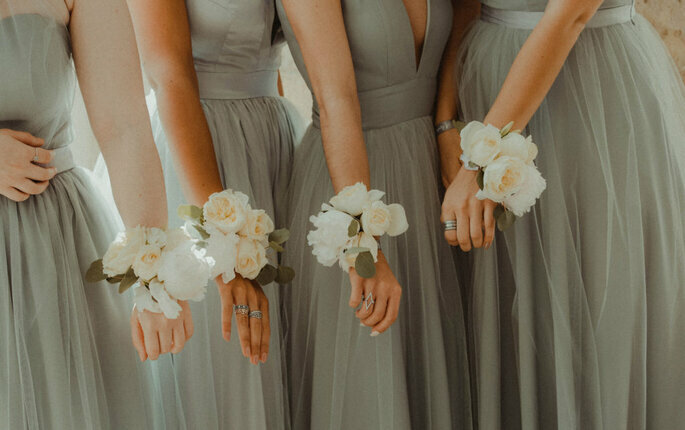 At Profoto Studio you will find an expert team of photographers, videographers, image editors and designers, who are dedicated to providing a beautiful photo album to accompany all your wedding event memories. Their creative touch will find all the details of your day that you may have missed in real-time, so that you have a set of little stories you can never forget! Squaretree specialises in wedding decorations. Its main objective is to create dream scenarios for newlyweds through a personalised service and a high quality work. 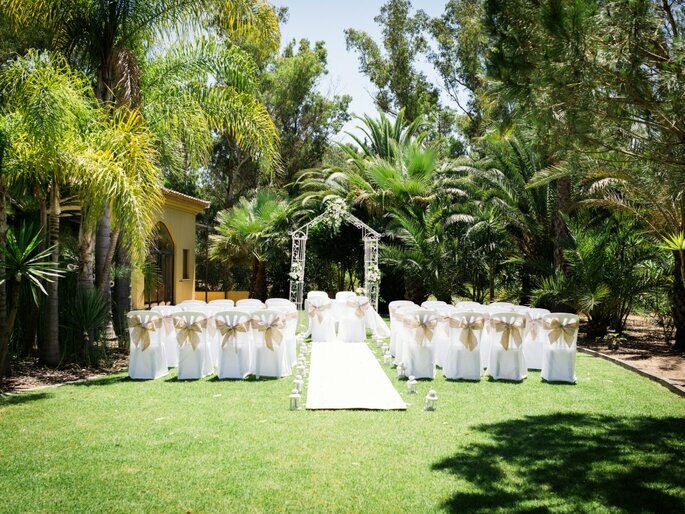 Located in Boliqueime, they are available for weddings in the Algarve area. They offer a wide variety of services and equipment for the decoration of spaces, such as furniture, chairs, tables, pergolas, decorations, decorative lighting, etc. 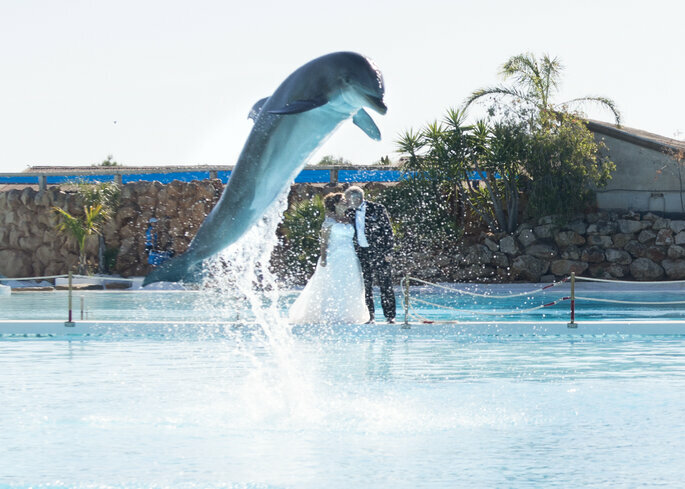 Surprise your guests by hosting your dream wedding at one of the most picturesque and visited portuguese parks: Zoomarine. Here you have a handful of possibilities to experience an unforgettable day, from majestic gardens to the opportunity to exchange vows with dolphins as your witnesses. Creativity, professionalism, and enthusiasm are the Zoomarine team’s mottos to attain their main goal: planning and organising a memorable and unbelievable ceremony. They count on specialised professionals that will bring you the best flavours, and provide you with the best accommodation for your guests on your wedding night. Within Zoomarine you can experience a civil ceremony with a capacity of up to 800 guests and be the celebrity of your own wedding by being under the spotlight of a show-stopping photoshoot. 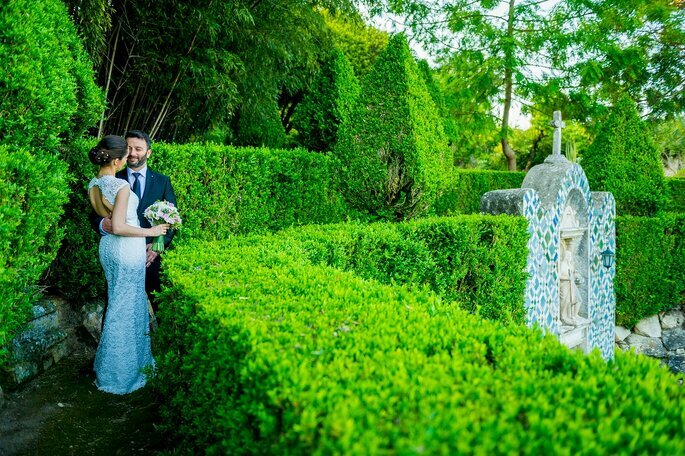 In the heart of the Algarve you can find the enchanting Quinta dos I’s, a venue with a rustic vibe and sophisticated environment for your celebration. You can guarantee an amazing catering company that will offer you dishes that go beyond all expectations. Since you’re planning a destination wedding, you should also bear in mind that your guests need a nice place to stay. With Quinta dos I’s you needn’t worry about that as they can sleep up to 28 guests. 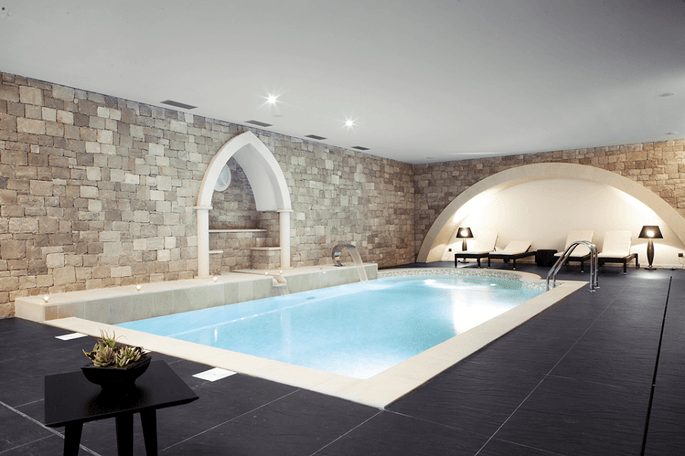 5 minutes from the Monastery of Alcobaça is the Real Abadia Congress & Spa Hotel. A 4-star hotel whose themed rooms inspire passion and love. Here you can truly live this beautiful moment, as newlyweds. If you want to be in contact with nature, this place is ideal for you. With a swimming pool, biological vegetable garden and a zen space with several walking paths, here you can find the comfort and elegance that you need. 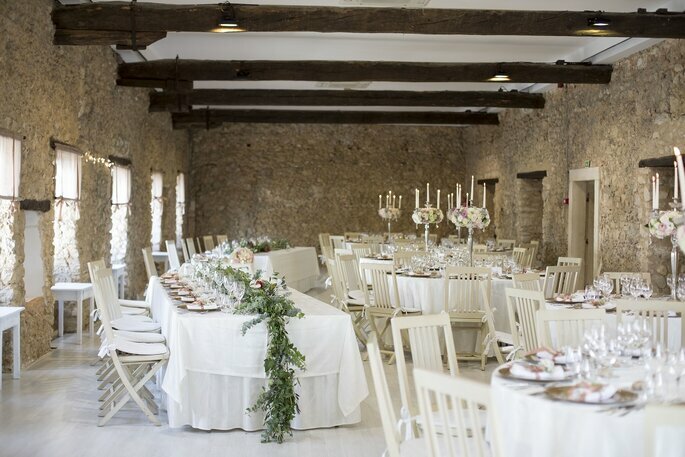 For your Destination Wedding, Convento de Sandelgas offers you an authentic wedding experience. 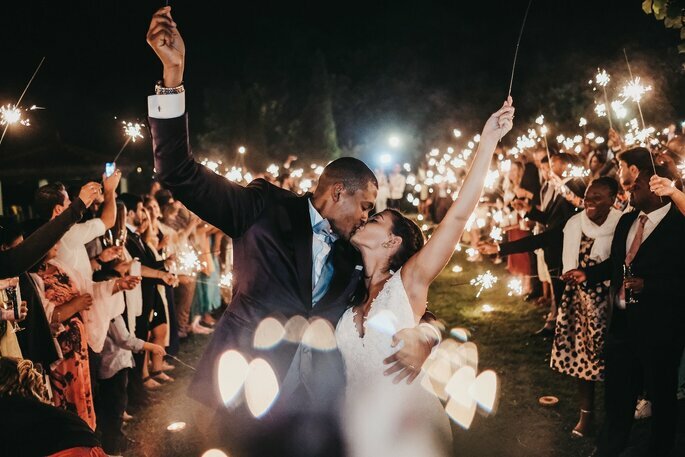 Located in one of the most famous portuguese cities, Coimbra, this ancient venue is filled with history and perceived as an incredible place to say your “I do’s”. Here, you can enjoy the amazing combination of the location’s architecture as well as the amazing decoration of your wedding planners. This place does not require a minimum number of guests, however it can only welcome 23o people, maximum. A majestic garden and a symbolic church. At Convento de Sandelgas, the couple to-be can also celebrate their civil ceremony. 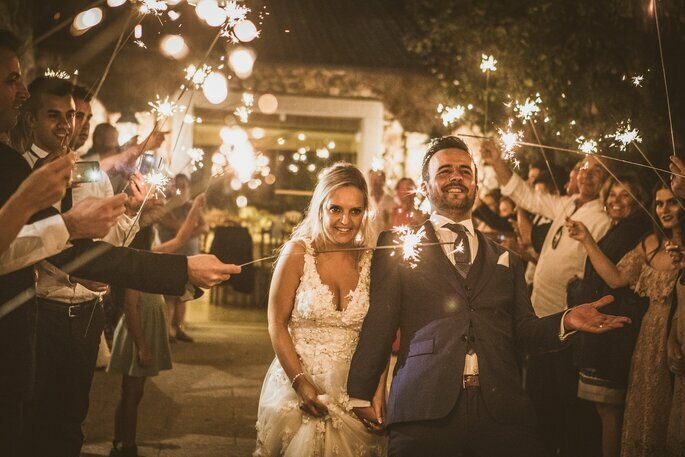 Ideally, the progress of organising a destination wedding should be started 11 months in advance and 81% of the couples that we spoke to, said that they counted on wedding planners from the destination itself, since they believe this is the best way to find the best services in the sector. Karina and Paula are wedding planners from the renowned Algarve Wedding Planners & Lisbon Wedding Planners. This team knows exactly how to help you with your dream Destination Wedding. These professionals set an alliance between its long experience with the best partnerships. Specialised in the market from Algarve and Lisbon, they offer a large range of services all around the country. All you have to do is decide where to marry. Prenúncio de Festa, as we have mentioned before, shows exclusivity when it comes to Quinta do Lumarinho, offering, therefore, a huge range of possibilities with partners, from the North to the South of Portugal. The team is known for not putting any kind of details aside and demonstrating high quality services. So, organising your big day can be totally stress free. 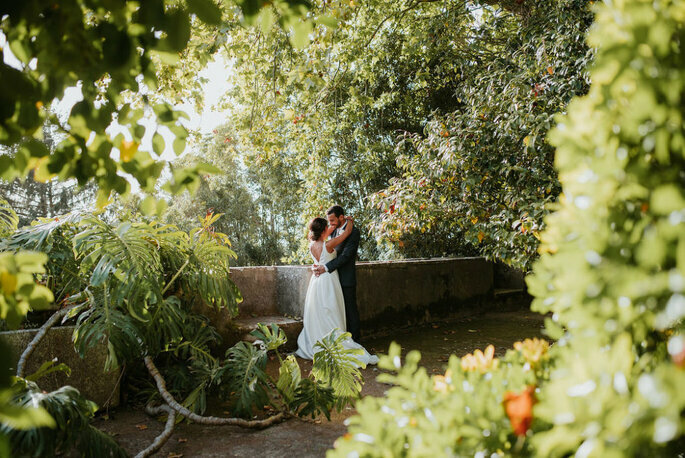 In order to capture the memories of your wedding day, you need to rely on the best Portuguese professionals around, the ones that will create and offer you something unique and special. 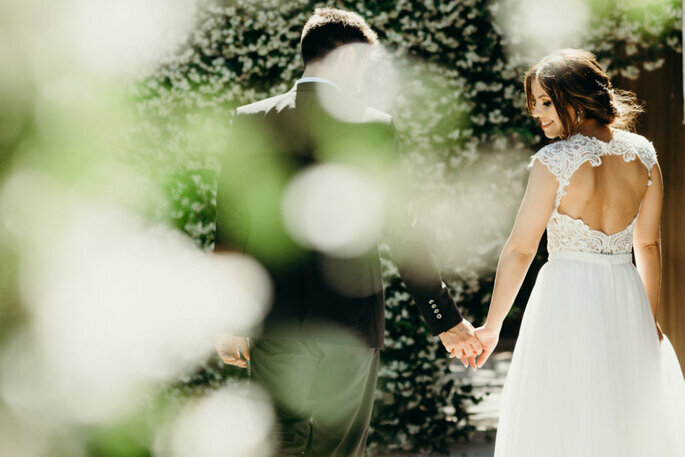 So, to prevent you searching the internet for days, we’ve put together some of the best wedding photographers in Portugal. Nuno Vasconcelos, with 10 years of experience in the photographic art, perceives photography as a big part of his life, which explains why he wants to give you the best service and consequently the best memories of your marriage. 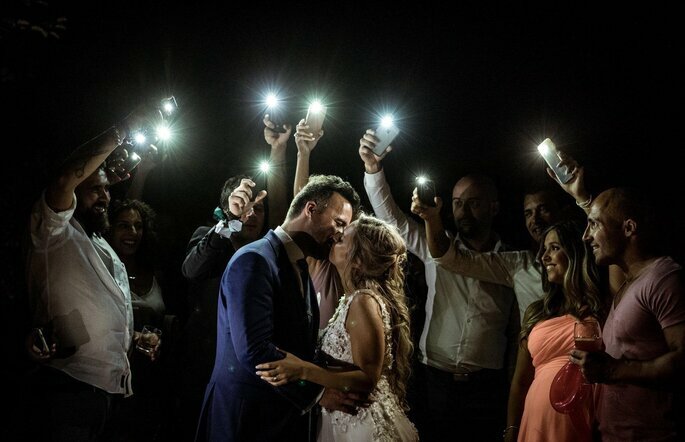 According to Nuno, your wedding album is about feelings and emotions that will make you relive every moment of the day! Nuno Vasconcelas has a team of 4 to 6 people that offer you the video option for your wedding, as well! 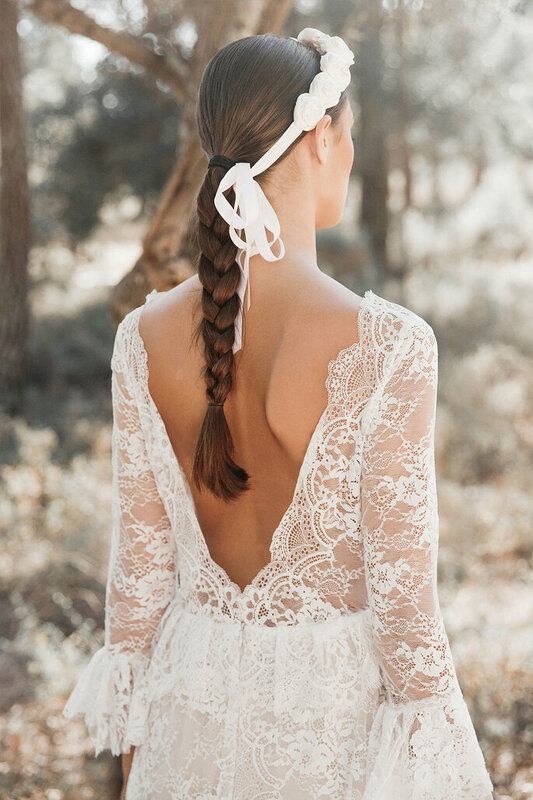 If you’re still not convinced that Portugal is the place for your destination wedding, take a look at our destination wedding section to find the perfect place to say those 2 special words.